REMEMBER THOSE POLKA-DOTS? THEY ARE BACK! Polka-dots are happy little spots that make any garment and its wearer look cheerful and carefree. They come in many different sizes and colors; yet regardless, they always seem to dance with every move you make – remember the dress you had which was covered with big dots and made your waist look so small? Polka-dots have a long history – in 1926 Miss America was photographed in a poker-dot swimsuit. After the second World War many of Christian Dior’s New Look designs were bedecked with dots. In 1951 Marilyn Monroe was seen in a polka-dot bikini and in 1960 Brian Hyland’s hit song Itsy Bitsy Teenie Weenie Yellow Polka Dot Bikini made us dance seeing dots. They have never left the fashion scene totally. But this year’s spring fashion has embraced dots in a big way. What? Your waist is not as small as it used to be? Don’t worry! These happy little spots will dance with you as readily now as they did ….. when? No, don’t say how long ago, remember your age is nobody’s business but yours. Let’s just say, as they did when you were dancing to Brian Hyland’s tune. ……will eventually get you there. As an Indie author I have a rule – I must to sell a book a day – to whom? Anybody who will buy. I recently got a note from our doorman who had bought a book for his mother. He sent me the following message – Thank you so much for the book! My mother is enjoying it a lot since it fits her personality! Wish you great success! Of course I would rather sell more books a day, and often I do, but these little encouragements are kicks carrying me forward, forward to bigger things to come. And never forget…….a smile changes everything! JEANS WITH RIPS AND HOLES………..
……..belong to the Young and Restless! While we chit chatted I looked at the lady. She was about sixty, of medium height. She wore a bulky sweater which, even for her not slim silhouette, was much too large, and a pair of jeans with more rips and holes than was flattering for her legs. And getting out my book Getting Over Growing Older I made another sale. And always remember …a smile changes everything. NOT READY TO PASS IT ON YET? I can never resist anything to do with Cowboys or the Wild West. It’s what I love most about this country. And the designer who has captured the look best is Ralph Lauren. Therefore, I never miss to check out one of his stores who carries cowboy boots and fringed leather jackets; the one on Fifth Avenue is now exception. Walking in I fell in love with a beautifully beige leather jacket with all the bells and whistles – fringes, appliques, hand embroidered, colorful Indian inspired motives – and the leather was as soft and pliable as velvet. “For sure” she answered and looking at me she continued, “and you can even pass it on.” I was confused. Pass it on to whom, or why? Did I really look like I was ready to pass it on? Or was her remark an extra sales pitch? Or was I just too sensitive? Yes, there is a chapter in my book (chapter 23) where I talk about passing things on – how clearing the air can help you have a better wardrobe, and how the things you don’t wear anymore can be a great help to somebody in need, but why should you think of it when buying something new – after all you will be wearing it for may years to come! Maybe Ralph Lauren should retrain his sales staff? 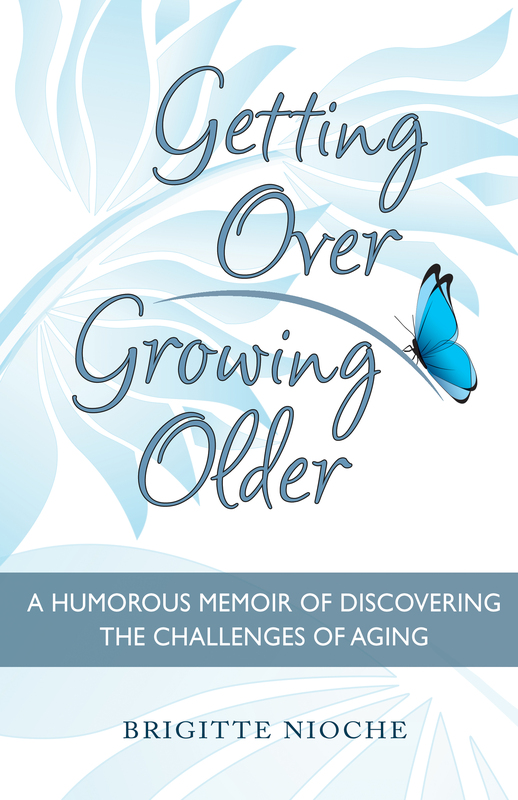 A little more than a week go my new book Getting Over Growing Older was published and I thought it was time to visit a book store and offer it to them. I followed the general advice to start with a book store in your neighborhood. I went to Book Culture on a 112th Street, in New York. Taking it back, I asked, “What is the name of your buyer please?” “Theo” he replied. Consignment or purchasing -peut importe – even getting one toe in the door of a bookstore is a good beginning and a certainly a step in the right direction. Thought of the day – It is good to be in love at any age! “Look at them they are wearing bedspreads” the man standing in front of me on the escalator said excitedly, while he was pointing to the two young girls in front of us. Visibly upset he walked away still shaking his head and mumbling to himself. I guessed he was in his late 60s, dressed in a dark suit and tie. I hoped for him that he would calm down, because if he didn’t and continued to be obsessed by the past – he would allow the past to spoil a beautiful concert. Change is constant and if we don’t go with we will get irreversibly stuck.